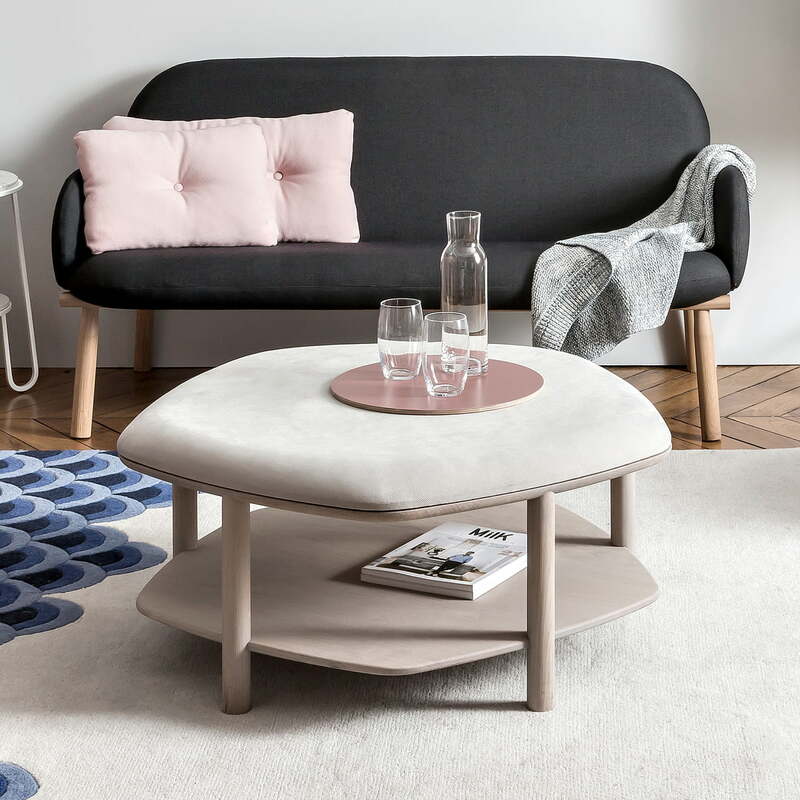 Abel by Hartô is a comfortable ottoman and practical table in one. Abel is multifunctional and modern, adapting to every home in a beautiful way. Abel by Studio Désormeaux / Carrette is an organically shaped, hexagonal, two-level table floating five feet above the ground. Its soft shape and five legs create a space on which magazines, coffee cups, books, reading glasses and flowers can be decoratively placed. In addition, the table can be expanded in the blink of an eye with a comfortable seat cushion. The top element becomes a generous seat and the table becomes an ottoman. Abel is made from lacquered ash wood. The seat cushion, which is included in the scope of the delivery, has a soft foam padding and a cover made from polyester. 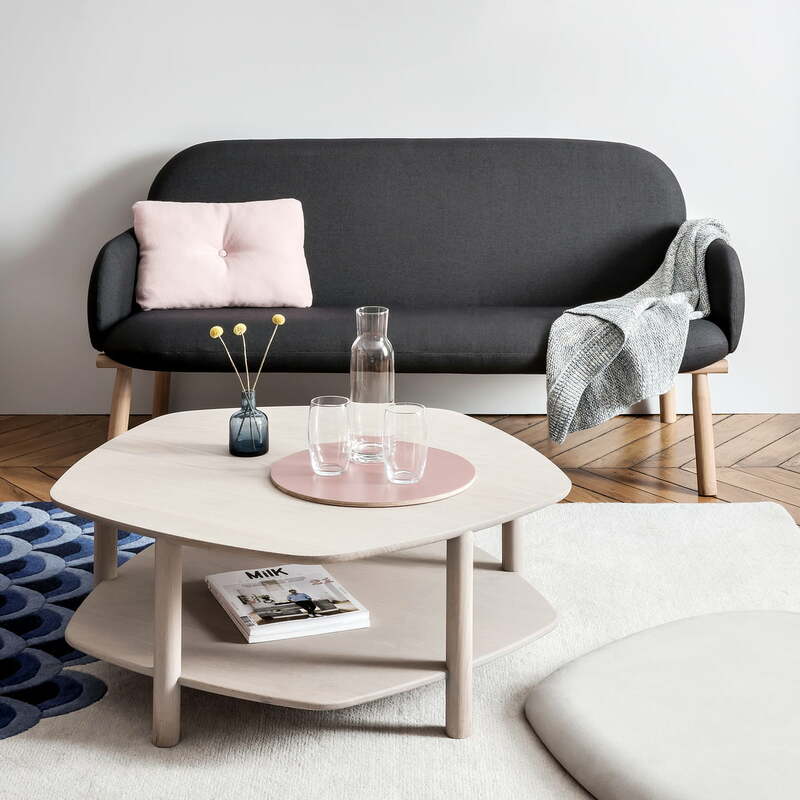 Available in various sizes and colours, the Abel coffee table comes into its own in front of the sofa or used as a spare seat for spontaneous guests. 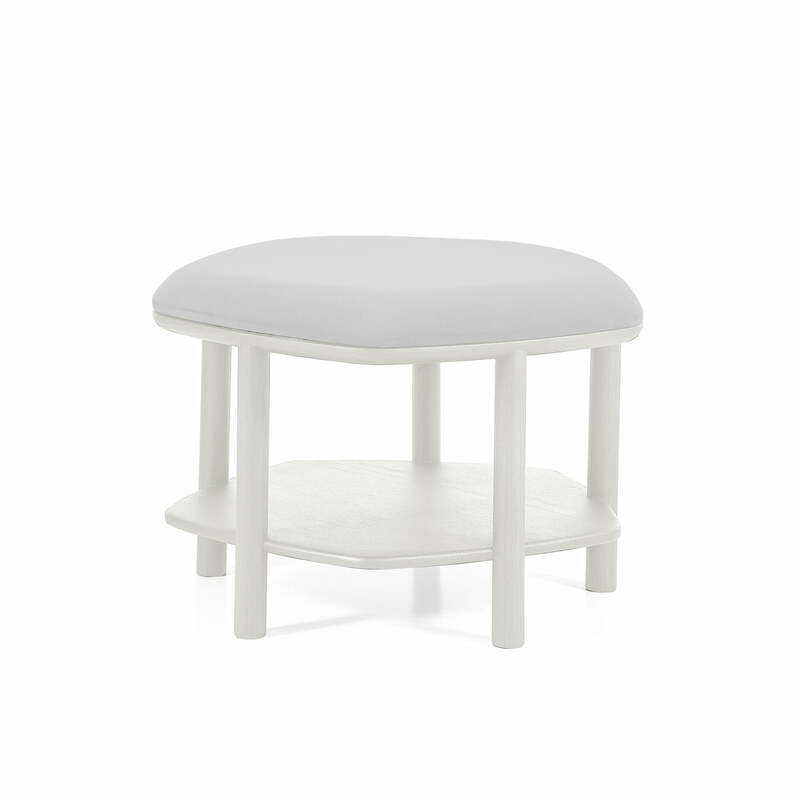 Isolated product image of the Abel ottoman and side table small measuring Ø 55 cm by Hartô in light grey (RAL 7035). Abel is made from lacquered ash wood. 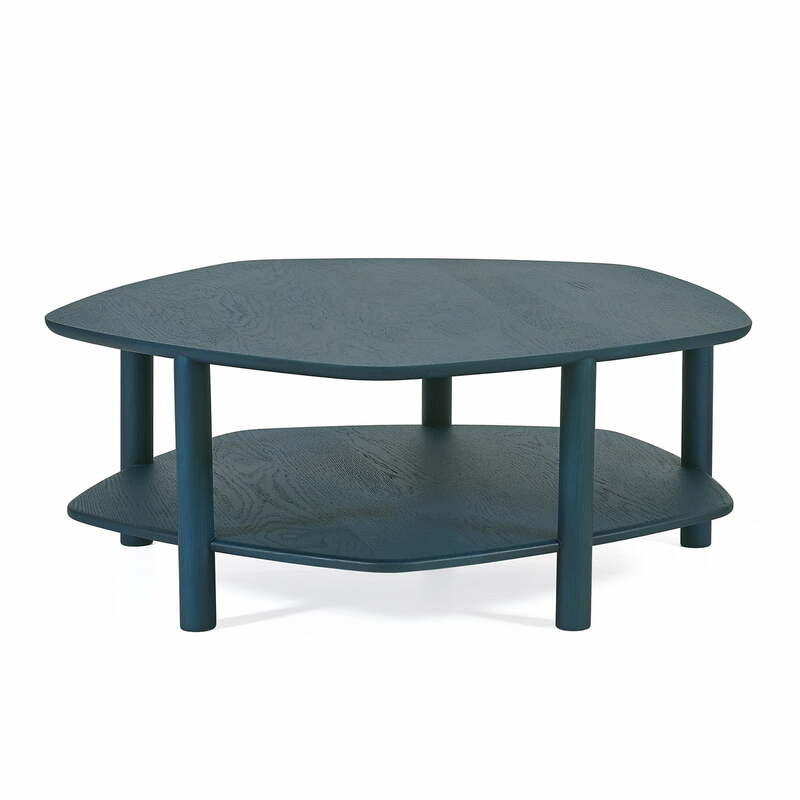 Isolated product image of the Abel Pouf / Side Table large measuring Ø 84 cm by Hartô in the colour ocean blue (RAL 5020). Abel is made from lacquered ash wood. 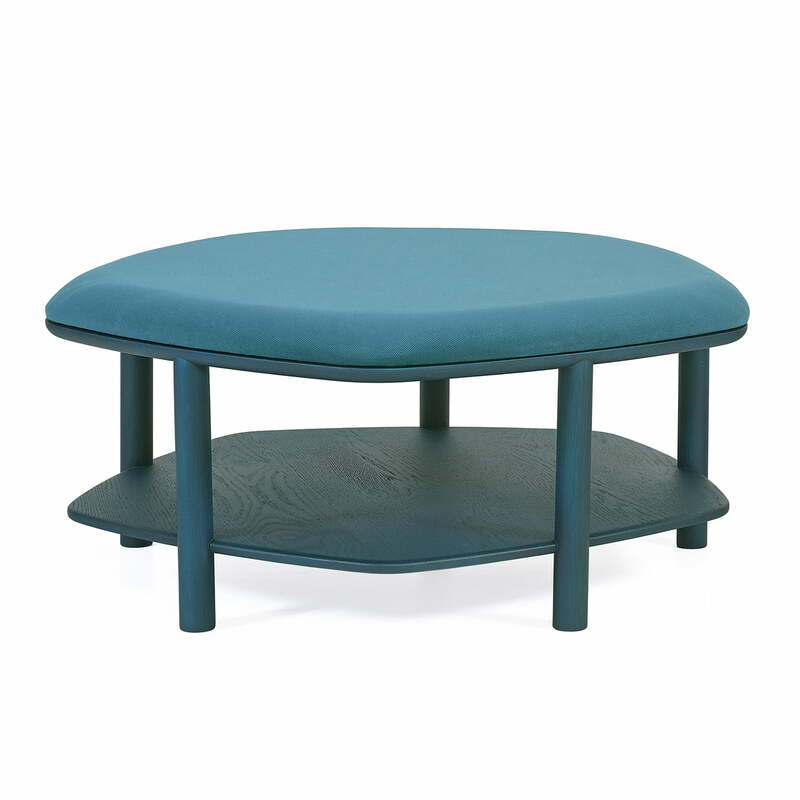 Detail product image of the Abel Pouf / Coffee Table large measuring Ø 84 cm by Hartô in the colour ocean blue (RAL 5020). Abel is made from lacquered ash wood. The table can be extended in the blink of an eye with a comfortable seat cushion. The top element becomes a generous seat and the table becomes an ottoman. 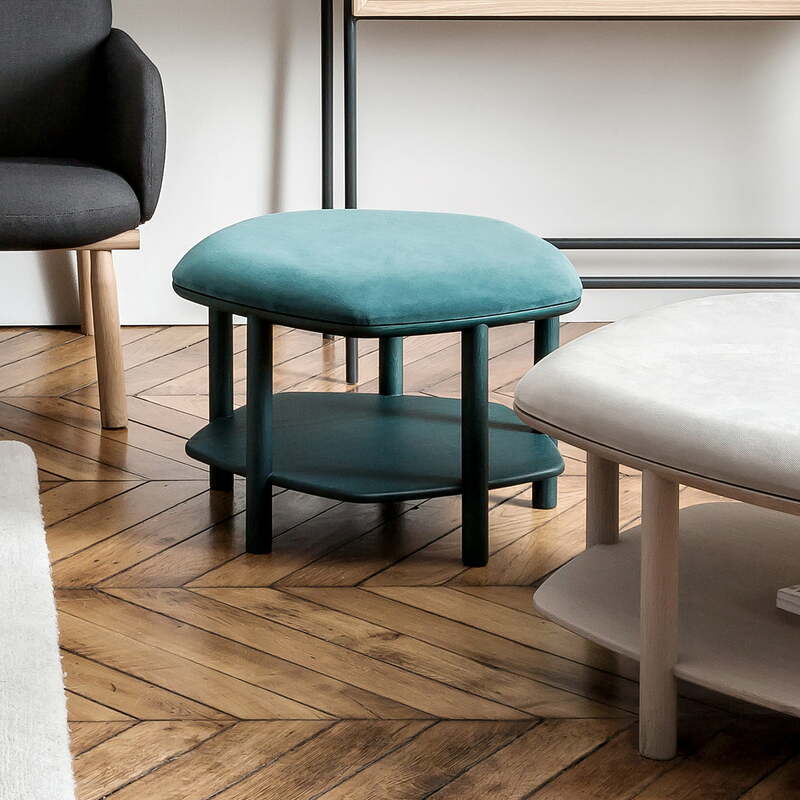 Abel Ottoman and Table by Hartô: The seat cushion, which is included in the scope of delivery, has a soft foam padding and a cover made from polyester. Lifestyle product image of Abel by Hartô: Abel by Hartô is convenient pouf and practical table in one. Abel is multifunctional and modern, adapting to every home in a beautiful way. 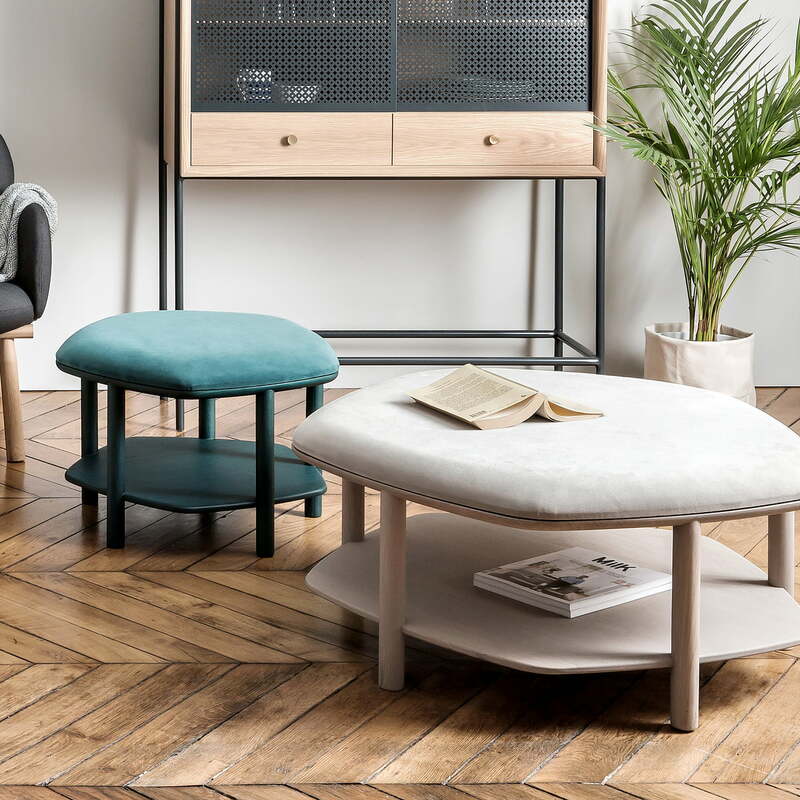 Abel Ottoman and Table by Hartô: Abel by Studio Désormeaux / Carrette is an organically shaped, hexagonal, two-level table floating five feet above the ground. 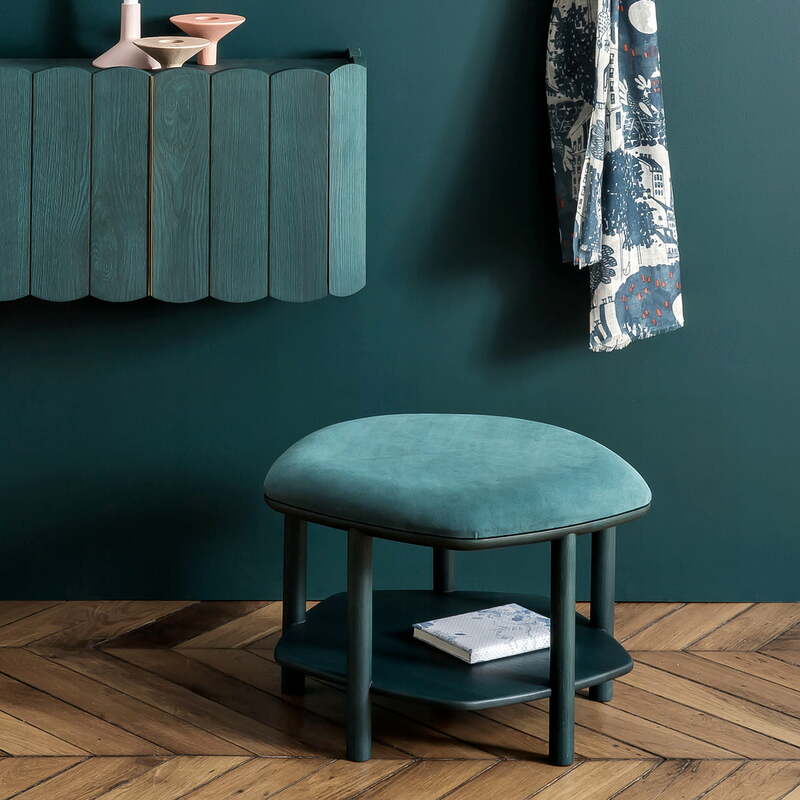 Abel Ottoman and Table by Hartô: Its soft shape and five legs create a space on which magazines, the coffee cup, favorite book, reading glasses and flowers can be decoratively placed. 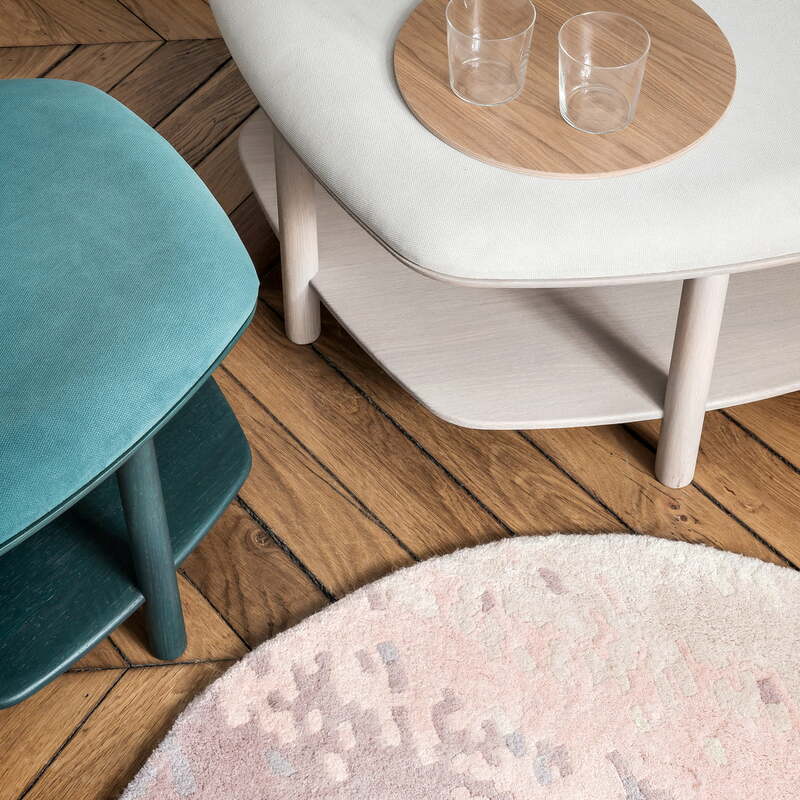 Detail product image of the ottoman and table by Hartô. The table is available in various colours and sizes and is a great addition to any living room both alone or combined with other pieces of furniture.